Joe was inspired to create the CD “Geometry Park” when, as a teacher, he began putting curriculum concepts to music for his own students. His students loved to sing the lessons and act out dramas in order to learn. By using this integrated arts approach he found that the knowledge the children learned was easily recalled. The CD “Geometry Park” utilizes a variety of musical styles ranging from rap, to stadium rock, to island and rhythm & blues. The karaoke versions of the songs allow students to be the rock star they dream of being while at the same time solidifying academic concepts in science, social studies, English, and math. This CD comes complete with a free downloadable teacher’s guide full of art and drama activities lyrics, music, and a karaoke version of all the songs. Scott Cleveland, Reading Specialist, K-12, Arlington Public Schools, Arlington, Virginia. The following samples from Geometry Park are provided in MP3 format and require a player application. 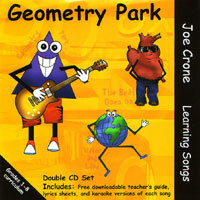 Full versions are provided only on the Geometry Park CD, which also includes karaoke versions for classroom sing-alongs and performances. Purchase of the CD also entitles you to download full-size song sheets, including chord charts, which you can photocopy for teaching in the classroom. 10) Province Rap - Geography, Provinces and Capitals, but cool! Order a downloadable version of the album! 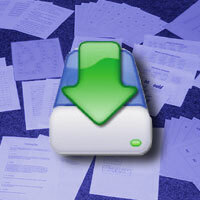 Once your order is placed securely, download instructions will be sent to your email address within 24 hours. Major credit cards are accepted through PayPal. 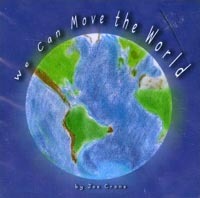 The CD "We Can Move the World" is ideal for classrooms and families that are stressing global citizenship and character education. This is a collection of beautiful and fun songs designed to create and enhance the unity of families, classrooms, and schools. The words and guitar chords to all the songs are included in the accompanying booklet. This CD also contains karaoke versions of each song so children can provide their own lead vocals while they are dramatizing the important messages in the songs. This makes We Can Move the World ideal for use in classrooms, vocal music programs, school assemblies, and concerts. Add drama, movement, dance, tableaux, and your own vocals to these songs and celebrate our human family! 1) Hey, Hey, What Do You See? 9) Why Not Try Peace For A While? You download The Complete Phonics Package and print it yourself. A more economical and faster way to enjoy the benefits of Complete Phonics. Microsoft Word, Windows Media Player/Quicktime required. Order a downloadable version of the Complete Phonics Program! 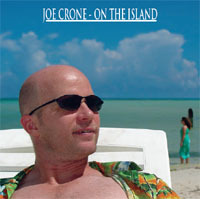 "On the Island" is Joe Crone’s latest CD. It is a collection of songs for the adult listener. 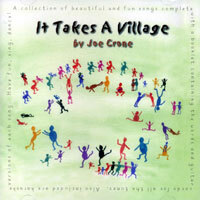 The songs on this CD are all somehow related to the time Joe spent living on the island of Saipan. These tunes will take you on a journey of heart and mind and you may even discover some interesting geographical places along the way. 5) How Do You Know? This is a collection of beautiful songs designed to create and enhance the unity of families, classrooms, schools and spiritual communities. The first 6 songs on the CD are the same as those on "We Can Move the World". The second set of songs is more spiritual in nature. The words and guitar chords to all the songs are included in the accompanying booklet. Use them, sing! This CD also contains karaoke versions of each song. 1. Hey, Hey, What Do You See? 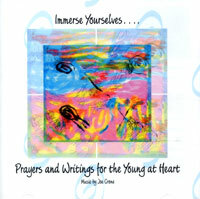 This CD includes 29 songs based on prayers and quotations from the Baha’i Writings presented in a style that is easy to sing along to. It’s a beautiful collection of songs that are suitable for personal listening after a busy day. It lends itself to use by both adults and children at spiritual oriented gatherings, Sunday schools, Feasts and children's classes. Several songs are "sing and response" format. Lyrics and guitar chords are included to make it easy for communities that are only moderately musical to adapt them for adult or child choirs. 24. I am, I am, I am, the Promised One! Download lyrics for "Immerse Yourselves"